The Sparco Energy RS-5 is a lightweight three-layer suit which offers superior fire protection, breathability and comfort. The Energy RS-5 is made from fabrics which offer an excellent compromise between weight and breathability. 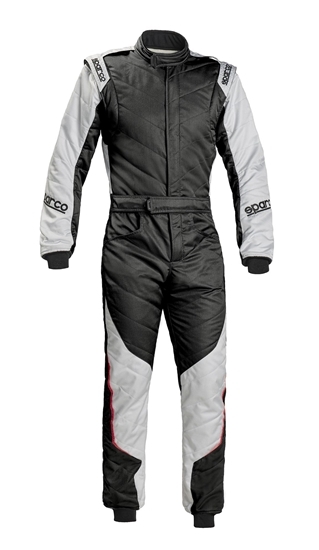 Tone on tone stitching combined with world-famous Sparco Signature epaulettes and boot cut pant legs give the Energy RS-5 an attractive and modern design. The Energy RS-5 features full floating arm sleeves with ultra-soft knit cuffs. 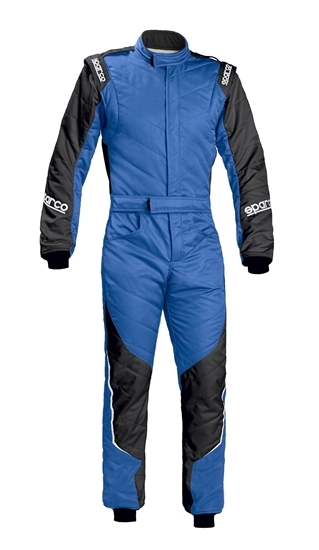 Pre-curved arms and legs along with multiple stretch panels provide ultimate comfort in the driving position. The Energy RS-5 is available in 4 colorways in sizes 48-66. The Energy RS-5 is both SFI 3.2A/5 and FIA 8856-2000 approved.